Canadian investment advisors expect Canadian stocks to keep smashing ceilings in the first quarter of 2017, according to a study by Horizons ETFs. The firm’s Q1 2017 Advisor Sentiment Survey asked Canadian investment advisors whether they were bullish, bearish, or neutral on 14 different asset classes for the first quarter of the year. The S&P/TSX 60 Index was the best performer. With the index’s 21% total return and 5.6% last-quarter return making Canada one of 2016’s best performing global equity markets, 63% of Canadian advisors were bullish on Canadian equities leading into the fourth quarter. 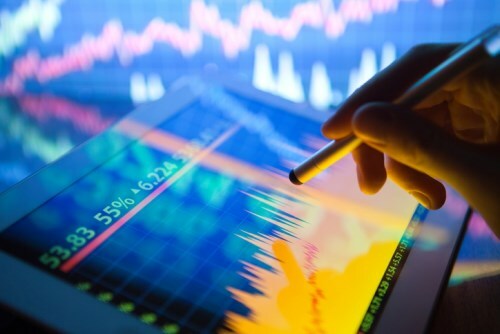 The S&P/TSX Capped Financials Index saw a Trump-motivated Q4 increase of more than 11.5%, driving up Canadian equities and making 56% of Canadian advisors bullish on the benchmark. Also propping up Canadian equities were energy prices, with 68% having a bullish outlook on the S&P/TSX Capped Energy Index and 57% being optimistic on crude oil. Natural gas lost some of its appeal, with only 48% of advisors being bullish this quarter compared to last quarter’s 55%. Sentiment on the S&P 500 is optimistic (65% bullish), but gloomy on the US 7-10 Year Treasury Bond Index (48% bearish). Confidence plunged for gold bullion (from 49% bullish in Q4 to 32% bullish this quarter) and gold equities (from 48% bullish to 30% bullish). Overall, advisors expressed bullishness for six out of 14 industry benchmarks. Five of the six positive-scoring benchmarks were equity indices.